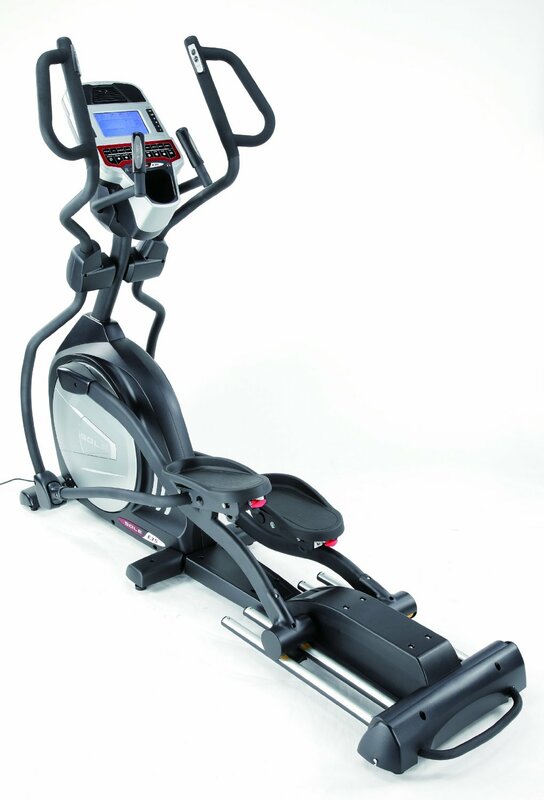 Sole E35 Elliptical Expertly Reviewed! 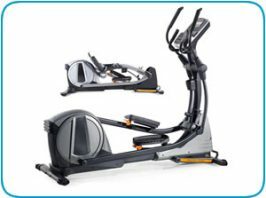 The Sole E35 Elliptical trainer is a mid-range trainer offering multiple customizable features. 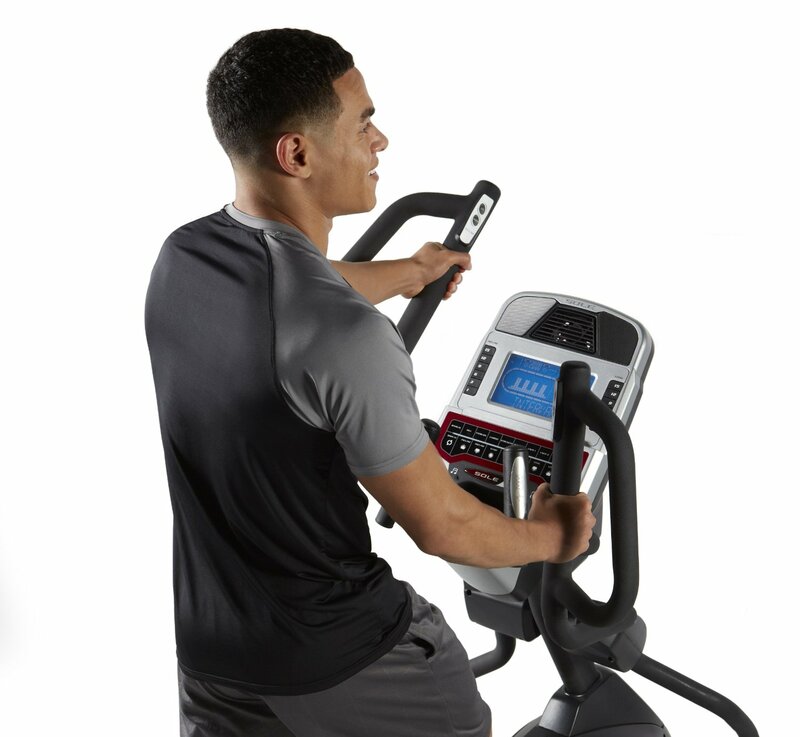 This elliptical machine can provide an effective cardio workout and has a blue, backlit LDC display to help you track all your training data. 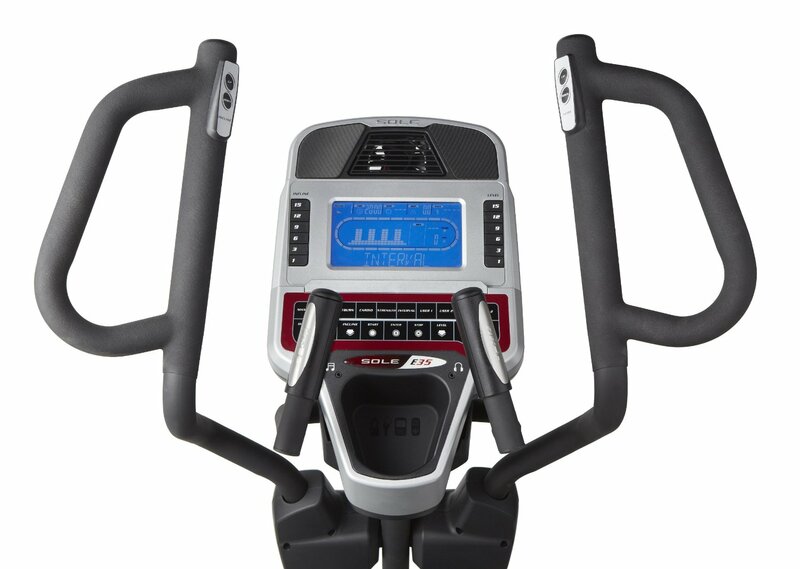 The Sole E35 elliptical comes with many customizable comfort features. Below are the main ones that I’d like to share with you. Read through this Review to help with your purchasing decisions! 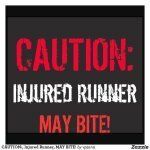 Stride length can be adjusted from 20 - 22 inches. As you can adjust the stride to the length of your legs, you will be exercising in the most comfortable position possible. 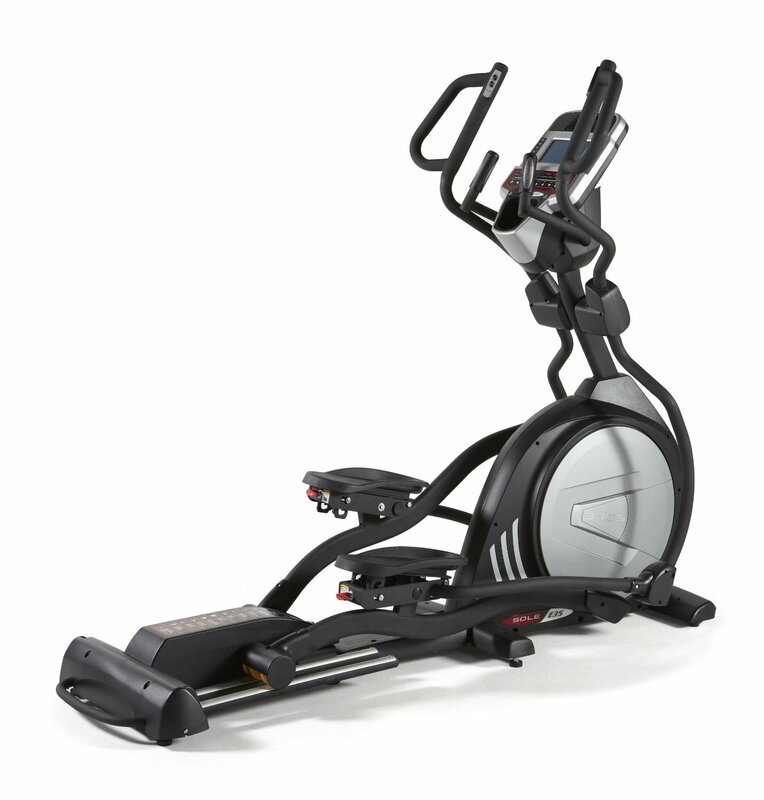 This elliptical trainer has a flywheel weighing 29 pounds, so adds to a very sturdy and stable workout - you are sure to have a smooth workout on this machine! Sole engineers have created a 2 degree inward slope to the foot pedals. This reduces knee and ankle stress, and the adjustable foot beds increase the comfort of your workout. 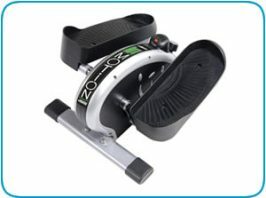 This trainer is built with the ECB (Eddy Current Brake) magnetic resistance system so making for a quiet and smooth workout in your own home. 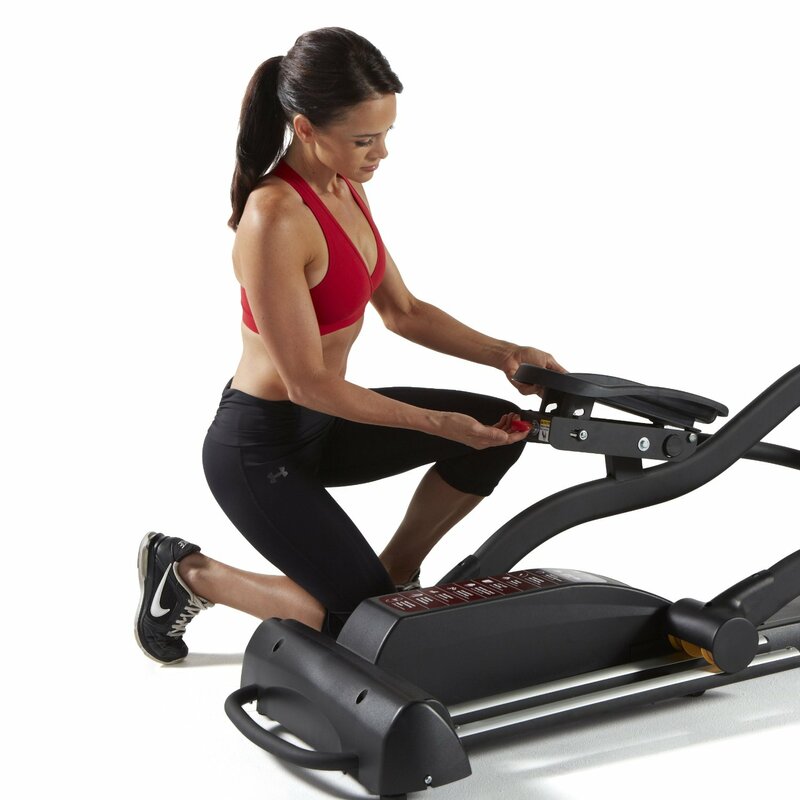 Several reviewers of this machine have reported it to be extremely quiet and very smooth, an important factor when you are working out in the comfort of your own home. The LCD Console has a blue backlit screen, with a larger than usual 7.5 inch display screen. 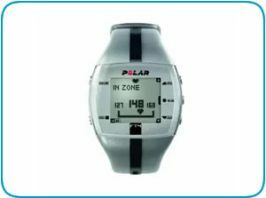 This makes it easier to track your time, distance, calories burned and resistance level while you exercise. The console is compatible with Ipod and MP3 players with built in speakers, a cooling fan and a handy water bottle holder. Note: there's no reading rack for those who enjoy reading while working out. The stationary handle bars have built-in pulse sensors that enable you to monitor your heart rate. There is also a heart rate chest strap for ongoing pulse rate monitoring. If you want more advanced tracking, there are 2 heart rate workout programs. These are excellent features on this top Sole machine. On the Sole E35 Elliptical you can change the ramp angle through the trainer's power incline which goes from flat to 30 degrees. Most elliptical machines only offer up to 20 degree incline so I find this a great feature as it increases your workout options and improves your cardio workout. You can also pedal in reverse, to work on other muscle groups. 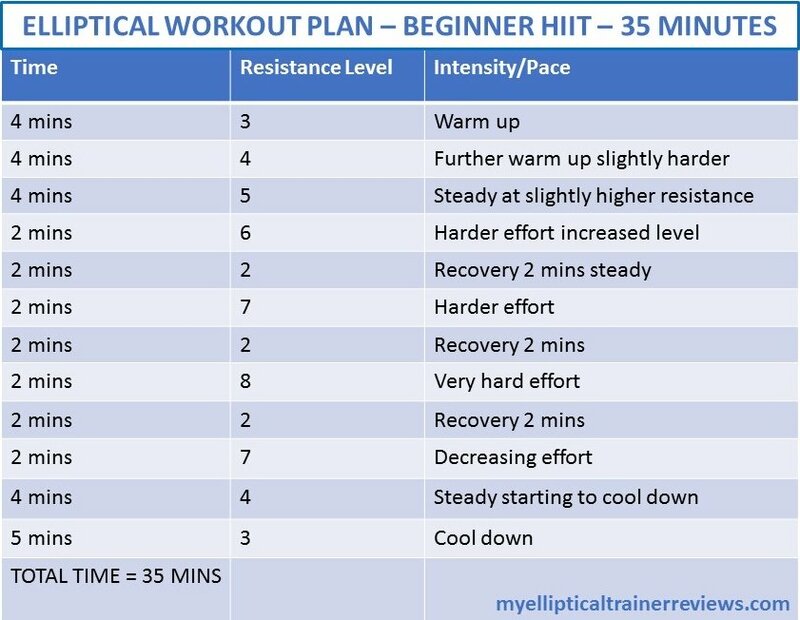 Click here for some excellent elliptical machine workouts that I have found for you. This is a slightly larger model than some, however, I love the transport wheels that make it easier for home storage. EU/UK residents click below for great Amazon offers! This machine is pretty heavy - shipping weight 300 pounds - so I'd definitely recommend a friend to help when moving the box into the room it's going to be used. You will also need help with the flywheel, however, if you then leave the flywheel on its styrofoam pedestal keeping it vertical until you need it, you should be able then to assemble the trainer on your own. 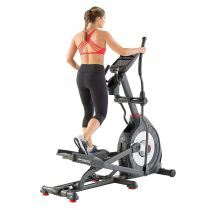 The Sole E35 Elliptical trainer is a mid-range trainer with many customizable features, including power adjustable incline and adjustable pedals. Ideal for all users whatever your shape or size! It has been rated a 'best buy' by many leading consumer magazines and websites due to being so smooth and extremely quiet. The Sole Company have been producing well built machines for many years, with solid reviews all round. I highly rate this particular machine for your home exercise experience!